I met Patricia Marcantonio in a creative writing class more than twenty years ago. Sharing a love for reading and writing, we became writing buddies and remain so today. Any time I have a question about writing or publishing I can call Patricia and brainstorm my way back to productivity. 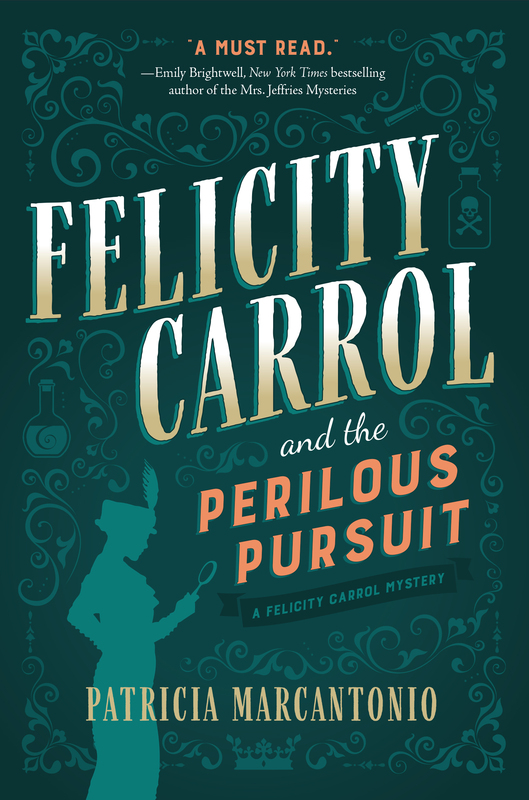 With the release of her latest novel, Felicity Carrol and the Perilous Pursuit: A Felicity Carrol Mystery, I’m pleased to introduce Patricia Marcantonio and share with you some of her writing secrets. I became a writer because I loved telling stories. I was a voracious reader and I started making up my own stories when I was a kid. I would tell them to my parents. I was a full on nerd and loved writing assignments in school while the other kids moaned. I started writing my own stuff seriously when I got out of college. I wanted to be a novelist but there was no degree in that so I became a journalist to earn a living while writing books. I work out in the morning and write in the afternoon until evening Monday through Friday. If my husband is watching football or going bowling, I’ll write then as well. If I don’t write I get cranky so I write to keep happy. So many that I feel I have memorized the book. Maybe three to four drafts until I think it’s good, I print out the manuscript, let it rest for a while, and read it out loud. After that I go back and make changes and rewrite again. I’ll also make extra passes on the lookout for what I call lazy words, for phrases I’ve repeated, and to charge up the story with active verbs. Then I go through again. I get to a point where I say this is the best I can get it. Sometimes I’ll go back after a few months and see if I need to make changes. The best thing is getting published and having people love your work enough to want to put it out into the world and pay you. The worst? When people don’t get what I’m trying to do with a particular book or story. Then I think I have failed at getting them to share my vision. Rejections are a bummer, too. I just love coming up with stories and it doesn’t matter what the genre. I’ve had a children’s book, a drama courtroom novel, and now a mystery published. I also write screenplays and plays. So I consider myself a storyteller rather than a genre writer. I’d love to tackle a sci-fi, fantasy, or magical realism novel. Maybe that’s a weakness not to stay in one genre. I don’t know. What I dislike? It’s a hell of a lot of work and I don’t think people appreciate how much of your heart, soul, liver, and spleen you put into those pages. I don’t read nonfiction at all unless I’m doing research for a book. I have very eclectic tastes. I love to read sci-fi, fantasy, drama, women’s fiction, mysteries. Favorite authors are Kate Atkinson, Alice Hoffman, Taylor Sheridan, Neil Gaiman, Dennis Lehane, Margaret Atwood, Joseph Heller, and Charlotte Bronte, to name a very few. When I’m writing I do read but not in the genre I’m writing. So if I’m writing a mystery, I’ll read a fantasy. It’s a nice break. The best advice was to keep writing and know your theme because that’s the heartstring of your story. My own advice to myself is to keep learning about writing so I will read articles and go to conferences to hear speakers. I don’t know everything and I’m also striving to get better. The worst advice? I can’t remember and that’s probably good. By reading other writers I admire and hearing their voices and figuring out how the hell they did that. I’ve also noticed my writing voice does change with the type of book I’m writing. No but I’m open to one. I got accepted to law school but didn’t go. I think I would be a lawyer if I wasn’t a writer. Lawyers tend to make more money than writers. Sit in that damn chair and write. Do it because you love it. Another mystery and horror screenplay, plus I’m rewriting a middle grade book. I like to mix it up. Go to film school and make movies. Read good writing, keep telling stories, and don’t expect to get rich. Writing is part of what I am. If you don’t feel that strongly about writing, maybe find something else to do. I say that because it is tough and demands a lot of time and energy and love. And: what would you like us to know about your latest release? Amidst the heraldry of Queen Victoria’s Golden Jubilee celebrations, a string of brutal murders rocks Britain’s upper crust―and could threaten the realm itself. The mystery features a brilliant resourceful young woman finding her place in the world. She’s a fun character set in the middle of Victorian England. This entry was posted in 15 Things, year 2019 archives and tagged Books, Patricia Santos Marcantonio, Steampunk, Writing. I’m happy to announce that my essay “Ebb and Flow” has been published in Volume 6 of North Coast Squid: A Journal of Local Writing, published by the Hoffman Center for the Arts, Manzanita, Oregon. 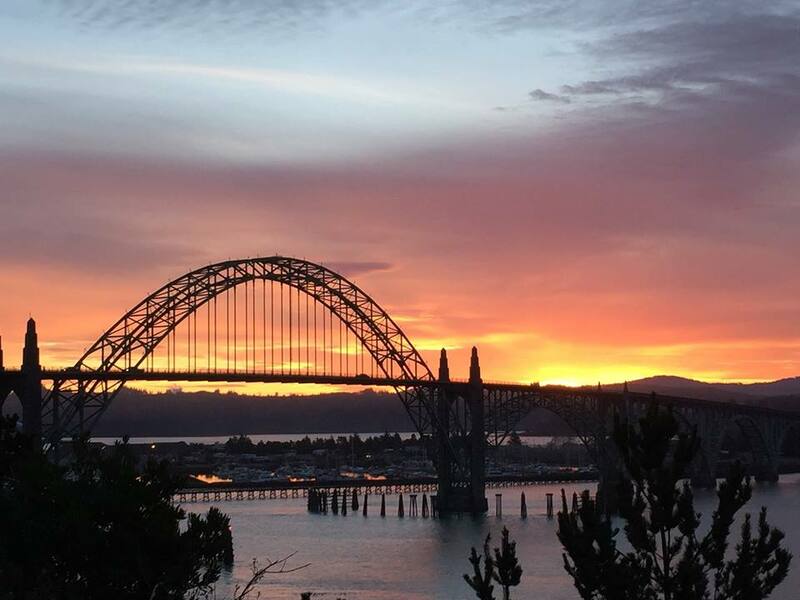 This entry was posted in Announcements, year 2018 archives and tagged Bonnie Dodge, North Coast Squid, Oregon coast, Oregon writers, Writing. Blog, you say. What is a blog? Why do I need a blog? Social Media and WordPress Consultant Barb Drozdowich wants to tell you. She just released her book The Essential Marketing Tool for Authors: Book Blog Tour, a helpful guide in making sense of all the shoulds, woulds, and coulds. Barb has taught in colleges, universities, and in the banking industry. More recently, she brings her 15+ years of teaching experience and a deep love of books to help authors develop the social media platform needed to succeed in today’s fast evolving publishing world. She owns Bakerview Consulting and manages the popular blog, Sugarbeat’s Books, where she talks about Romance – mostly Regency. She is the author of six books and over twenty YouTube videos all focused on helping authors and bloggers. 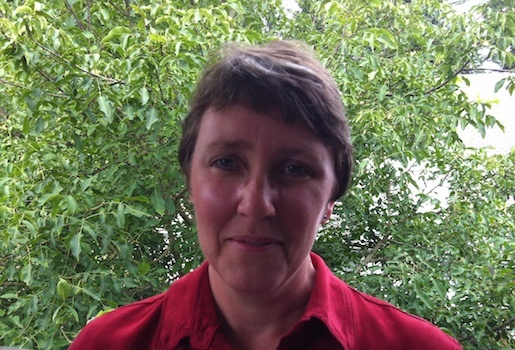 Barb lives in the mountains of British Columbia with her family. I am so happy to have Barb Drozdowich here today. Please ask her lots of questions about blogging, and just in case you already know Barb, here are some things you may not know. Why did you become a Writer? How did you get started? I’ve always been required to write quite a bit in my various jobs. After doing a survey of book bloggers in 2013, I decided I needed to publicize the results – to create a bit of a summary to accompany the results and make it available to anyone who was interested. The best way to do that was by creating something to publish on Amazon. As I created a summary of the results, I decided to make the book so much more. There was and is a lack of understanding of the role book bloggers can play in the promotion of books and I decided to use the book to be a comprehensive guide rather than just survey results. 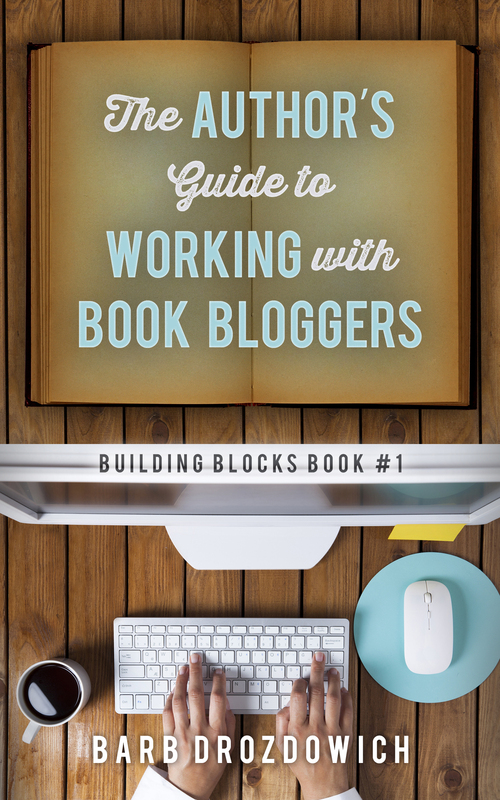 This first book, The Author’s Guide to Working with Book Bloggers started what would become a series of 6 books all aimed at helping authors and bloggers with various technical subjects. What is your writing routine? How do you discipline yourself to keep at it? I have a house with young children, so my writing fits into whatever spare time I can find. And sadly, I’m not very disciplined but I respond really well to deadlines. 🙂 I can produce an amazing amount of material just in the nick of time. I think that will be my reality, until the kids are grown. How many drafts before you feel the book is finished? I create a rough draft that is hopefully pretty complete in terms of content and fire it off to some wonderful beta readers. I get them to tell me if the content is complete, and whether or not it is understandable. Usually they have some changes that they feel need to be made. Once I make the changes that my beta readers suggest, I fine-tune the language and grammar and I then send the book to my outstanding editor. She typically does two rounds of editing followed by proofreading and we are good to publish. What was the best thing that happened with regard to your writing career? The worst? The best thing that has happened to me because of my writing is getting notes from authors thanking me – helping them to understand the subjects I cover. I haven’t had a worst yet. Even the critical reviews that I’ve gotten have been well balanced and constructive – no trolls yet! What part of your job do you love the most? Hate or dislike the most? I LOVE working with authors. My background is as a technical trainer and I can easily break down technical subjects and explain them in a way that non-technical people can understand. I’m a voracious reader and anything I can do to help authors sell more books, write more books, I’m happy to do! Often authors spend writing time trying to figure out the various technical tasks that they need to do as part of their job. If I can help them understand various tasks or help them do things more efficiently, they have more time to write books – it’s a win-win for us both. What do you like to read? Do you read while working on a book? Favorite authors? I always have a book or two on the go. My genre of preference is Historical Romance and I have many favorite authors! I read a lot of technical information to help me stay on top of my regular work so the escapism of romance helps me shut my brain down at the end of a busy day. What was the best advice you received as a writer? The worst? Who has influenced you the most in terms of developing your personal writing style? My biggest influence is my mom, hands down. She’s now a retired English teacher with a wicked red pen – literally – she’s old school with pen and paper and is militant about proper grammar and sentence structure. She was the first person who saw a lot of my writing and there was a sea of red ink at the beginning. I’m learning. 🙂 Now she has to hunt to find something for her red pen. No. I’m not really a superstitious person. I think I would still be a technical trainer and a voracious reader! What’s next up for you, writing-wise? I currently have a box set (combination of the Book Blog Tour book and my Author Platform book) in proofreading and my Book Blogger Platform book is in formatting and should be available any day now. I have a re-write of my Goodreads for Authors book in the hands of some beta readers and I am currently polishing my new book “Blogging for Authors,” in preparation of submitting it to my editor. There should be quite a bit published in the first half of this year. If you could do anything over again, would you and what would it be? I don’t think I would do anything over again. I feel that things happen for a reason and whether it is a good experience or a bad experience, I have learned from everything. The sum of my experiences has made me the person I am today. Everyone else will tell them to keep writing – which is very true. From my point of view, I would encourage them to create a platform – create a community of friends and supporters that will help with the marketing side of writing a book! My favorite job of all time was working at Toronto’s Metro Zoo driving the trains. My latest release is me explaining Book Blog Tours from the point of view of an author as well as the point of view of a book blogger. There is a lot of misunderstanding out there about Tours, and I have written this book to cover all aspects of tours and clear up all the misconceptions. This is a second edition book. 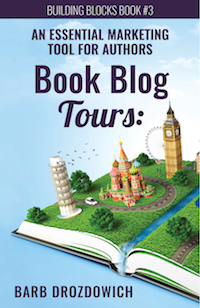 In this edition, I have added quite a bit on DIY tours as many authors prefer to set up their own tours. Barb, thanks for joining us today, and thanks for all you to do help writers! This entry was posted in Bonnie's Blog, Guest author, year 2016 archives and tagged Barb Drozdowich, blogs, Writing. I’m delighted to have as a guest today Arleen Williams from Seattle, Washington. Her book, Biking Uphill was released this fall by Booktrope. Please say hello to Arleen. Fall quarter starts with a bang and I am reminded once again why I write. Or more specifically, why I am writing The Alki Trilogy. This is my twenty-eighth year working with refugees and immigrants at this college. I’ve been teaching ESL for almost forty. When I introduce myself, when I tell my students these numbers, they inevitably ask me why. My response is always the same: I love to teach because I learn as much as they do. These are not empty words. The classroom has given me a world-view that does not stem from news stories but from the people who have lived the experiences that fill our headlines. The Alki Trilogy began with a story about suicide, a topic I wanted to understand more completely. 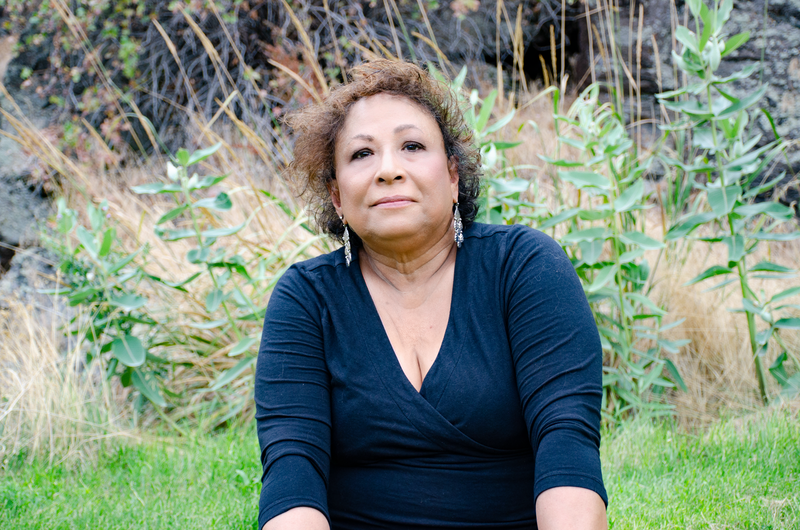 The character of Gemila Kemmal appeared to me unbidden but understandable: I work with African immigrants eager to gain the language skills necessary to enter our college nursing program. I did not plan to write three novels about the immigrant experience in the U.S. In fact, I didn’t plan to write a trilogy at all. But there we go. I fell in love with Gemila in Running Secrets. When I began Biking Uphill, a novel loosely based on a teenager I met years before when I was a lonely college student, I decided to hold tight to Gemila and Carolyn. Now, I’m working on Walking Home, the final novel in the trilogy, where the reader will meet new characters and revisit those who came before. So I suppose the old adage, write what you know, guides my work just as it shapes the person I am. As I enter the classroom and greet the students before me, I wonder about the experiences they’ve lived, the things they’ve seen, the sacrifices they’ve made to come to class each morning hoping to glean the skills they need to build a new home in America. It is humbling. It is an honor. It scares the crap out of me … even after a lifetime of the same. 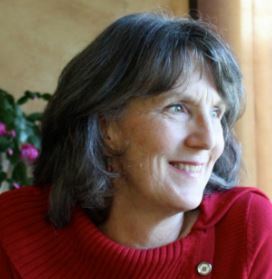 Arleen Williams is the author of three books. Running Secrets (Booktrope, 2013), the first novel in The Alki Trilogy, is about the power of friendship in helping overcome the dysfunction of family and life. Biking Uphill (Booktrope, 2014), book two of The Alki Trilogy, invites the reader into a world of undocumented immigration, where parents are deported, and a young girl is abandoned to face life on her own. The Thirty-Ninth Victim (Blue Feather Books, 2008) is a memoir of her family’s journey before and after her sister’s murder. This entry was posted in Bonnie's Blog, Guest author, year 2014 archives and tagged Arleen Williams, Books, Writing. Books Worth Reading. Or Not: Running with Scissors on The Long Journey Home. Because I watched the movie, I read the book. Because I read the book, I read his mother’s book. Then I wished I hadn’t, and here’s why. 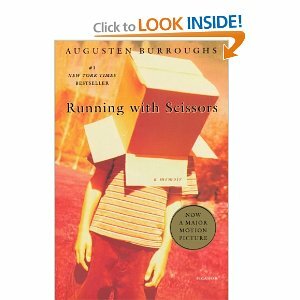 Running with Scissors by Augusten Burroughs and The Long Journey Home by Margaret Robison are billed as memoirs. The subject matter is dicey: gays, lesbians, adultery, alcoholism, and mental illness. Something most of us don’t encounter on a daily basis like this family did. Stuff great stories are made of, right? One night when there was nothing else to watch on TV I flipped to the movie Running with Scissors. Annette Bening, Joseph Fiennes, Alec Baldwin, Gwyneth Paltrow, 116 minutes of comedy and drama. What’s not to like? The all-star cast held my attention. The movie was interesting, but it was a movie, right? I wanted to read the book to see how much of the story was actually true. 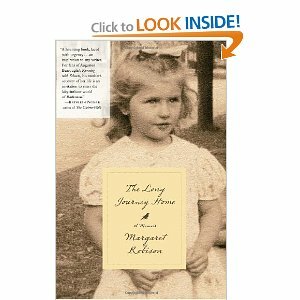 So I read the book, and when I finished Running with Scissors, I wanted to know more about this mother Margaret Robinson, a poet, teacher and writer I’d never heard of. With a college degree, someone who can probably put words on paper better than I can. So I read The Long Journey Home, and wished I hadn’t. There is no doubt that there is a lot of talent in this family. All of them write well. Best sellers. But having watched the movie and read both books, I’m still no closer to the truth. Who is lying? Who is exaggerating? Does it even matter? In most cases no. But in my case, it did. I am a mother. I have a son. I wanted to know why a mother would publicly call her son a liar. Why a son would change his name. I hoped to find the answers in the pages of the books, but when I was finished, I was depressed. Really, really depressed. So depressed I was in a bad mood for days. A mother tries to tell her side of the story, but can’t remember the details. An alcoholic husband and father shouldering most of the blame, is dead. His story remains untold. And the son and his brother are brilliant writers. Amen. This brings me to why we read in the first place. Some read to escape, others for adventure. I read to understand human nature, and when I finished The Long Journey Home, I felt cheated. I was no closer to understanding the human nature of this family than I was knowing why my dog Emily growls at my husband all the while eating from his hand. And maybe that’s okay. Maybe I don’t need to understand. But I did learn something. There are better ways to spend my time, better books to read. This entry was posted in Reading, year 2013 archives and tagged entertainment, Writing.